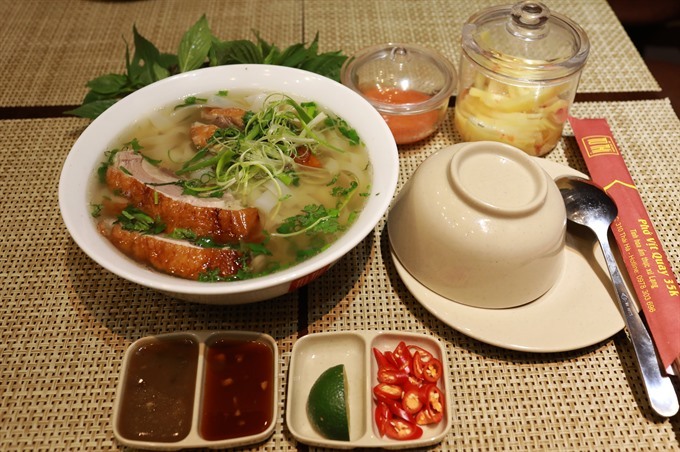 Pho can be credited as the most popular soup in Viet Nam. You may have tried beef or chicken noodle soup in any city or sizeable town across the country. But pho vit quay, or roasted duck noodle soup, has appeased the taste buds of Hanoians over the past decade. 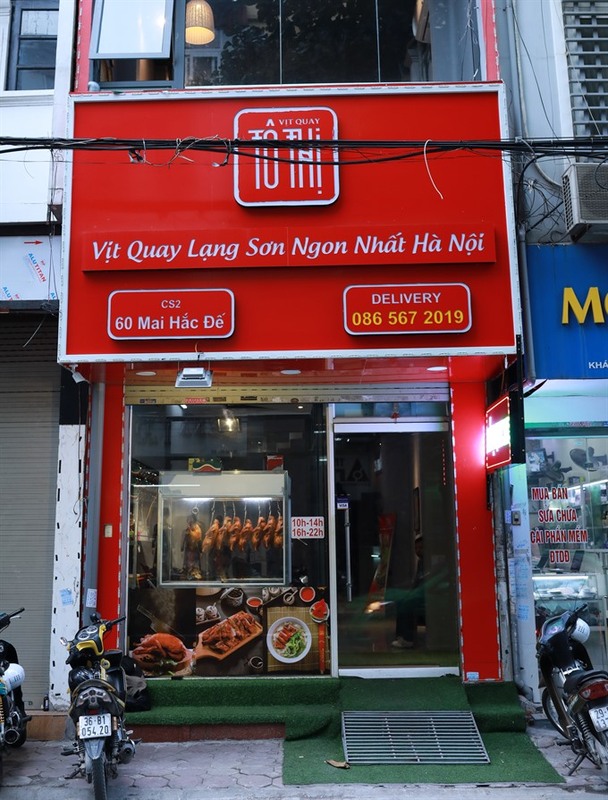 After first starting at specialty restaurants in the suburbs, duck dishes have made their way into the heart of Ha Noi: the Old Quarter. If you go into the area, it is hard to miss this special roasted duck noodle soup at the crossroads of Hang Thiec (Tin Street) and Hang Non (Conical Hat Street). 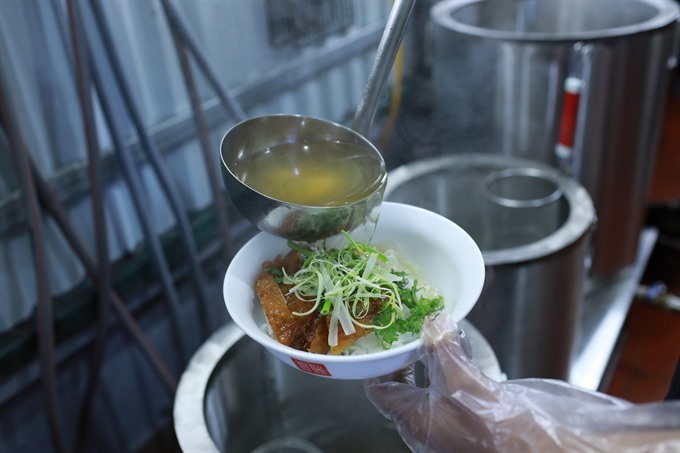 Affordably priced at VND30,000 (US$1.30) a bowl, you can opt for more meat for VND40,000. The food is quite good with flavorful broth cooked from duck bones and crucial pho spices like roasted ginger, star anise, cinnamon and black cardamom. If you prefer better seating options, Vit Quay To Thi in a townhouse on Mai Hac De Street could be your best bet. 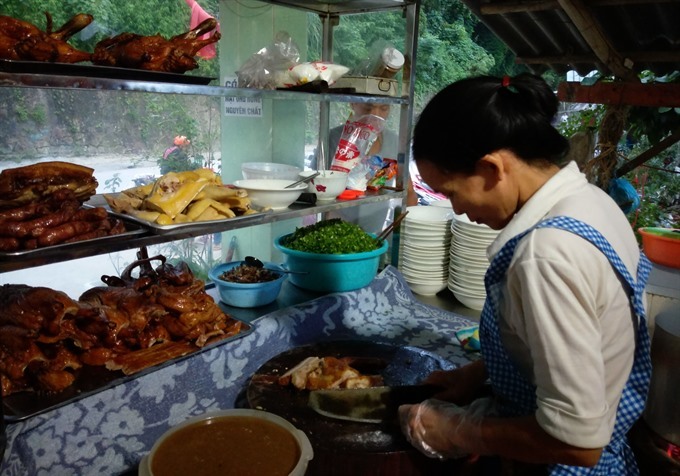 Many outlets across the city sell roasted ducks, and there is a famed duck raising village with very popular charcoal-roasted ducks called Van Dinh in the surburban Ha Tay region. But only roasted duck from Lang Son can be made into pho. Some restaurants advertise their ducks as roasted according to secret recipe from Chinese chefs, who usually keep it a tight family secret. Having tried Cantonese roasted duck, it is easy to tell the Lang Son ducks may be a variation of the world famous Chinese version. But if you look further into the ingredients and roasting methods, you soon realise the difference. Five spices are used in the marinade for Cantonese ducks, and it is important to boil the bird in the sauce to cook it and soak up the seasoning. Some restaurants even say they keep the marinating sauce for some dozens of years. The roasting process is only to give the bird’s skin the final glaze and crispy texture. The essential mac mat leaves are the key to a Lang Son style roasted duck. Grown in the northeastern provinces of Cao Bang, Bac Kan, Lang Son, Tuyen Quang, Bac Giang, Thai Nguyen and Quang Ninh, the leaves and fruits of this lemon-family tree are known for adding flavours to roasted dishes. They survive only in these provinces. If transplanted to other climate conditions, the trees cannot survive, or else the leaves do not produce the desired flavour. 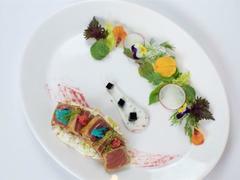 A popular cooking website recommends 22 dishes to be roasted and stir-fried with mac mat leaves. In Tay – Nung language, mac mat is a sweet fruit which gives a special tangy flavour to the pickled bamboo of the greater northern mountainous regions. The oil in the leaves can not only be a cooking spice, but it can also be distilled to make traditional medicine. Mac mat leaves and roots can also be used as herbal medicine and for cooking purposes. 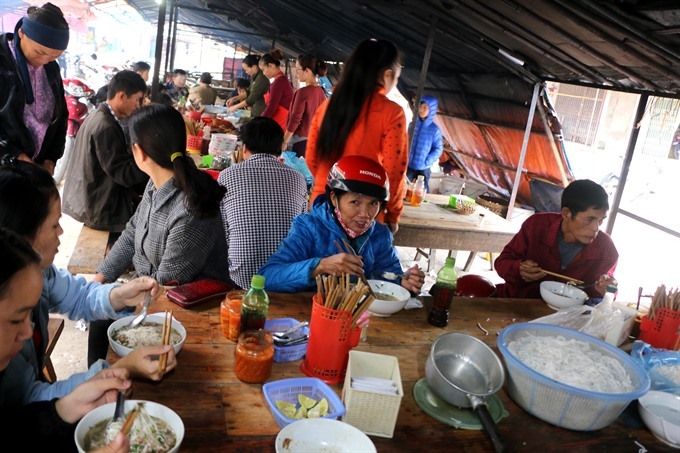 If you travel to the mountainous provinces of Cao Bang, Bac Kan, Tuyen Quang and Lang Son, you will have a chance to try pho with roasted meat like pork belly or sausage. People there have had the roasted pork or duck pho for a long time. 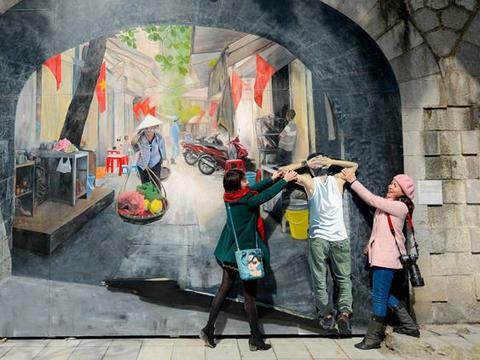 Geographically, Guangdong is located on the same latitude as the northern provinces of Viet Nam. In Vietnamese the Cantonese ducks are called Vit Quay Quang Dong, or roasted duck Guangdong style. 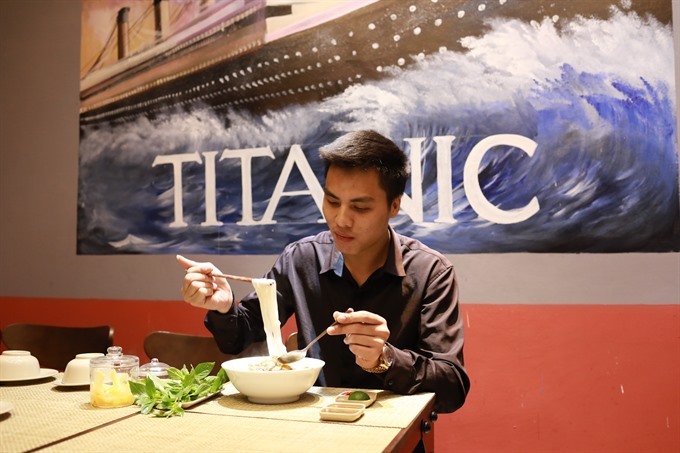 Ngoc Anh is an architect by training, but he chose to start with his Vit Quay To Thi brand with two restaurants in Ha Noi. 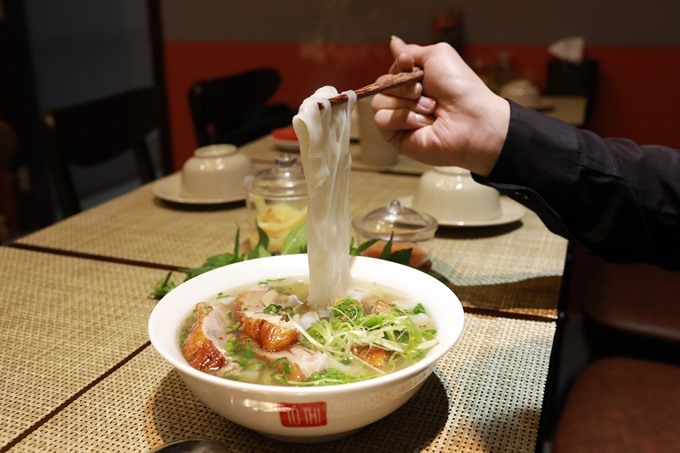 Many food enthusiasts have argued about the origins of pho, saying the beef noodle soup originated from Nam Dinh Province. Another writer even gave the iconic soup an an exact age of 100 years old. He wrote that pho originally derived from poached buffalo meat that wood traders used to have at the Red River Wharf. 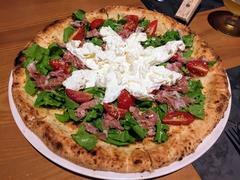 But this theory provided only the source of the meat. What about the flat rice noodles, the essential part of a bowl of pho? I suggest the source of pho may go further upstream. In the southern provinces of China they also eat flat noodles with meat, but the noodles are made from wheat flour. In Viet Nam, pho noodles are made from rice. 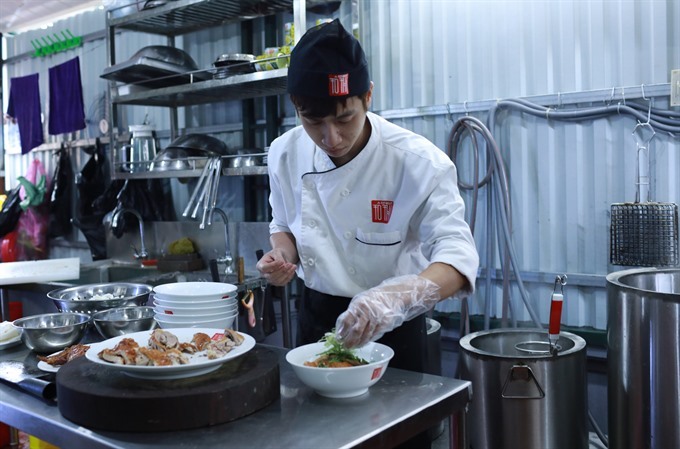 They are made by steaming pancakes, the same way banh cuon – a popular dish of steamed rice rolls stuffed with chopped pork and mushrooms – is made. Pho with roasted duck usually has rich and fatty broth because in Lang Son, the winter can become quite cold with temperatures below zero. To balance out the fatty broth, a side dish of purple basil (hung que) and spicy pickled bamboo with mac mat fruit is a must. This dish is never found in beef or chicken pho shops. As part of the tradition of having pho with roasted meat, pho with roasted duck can be the highlight of this type of dish.